The reason that marketers rave about the virtues of creating your own list is simply because it works. Basically a list is simply a bunch of contacts who have, by supplying you with their email address, given you permission to send them messages. Not so long ago, when the only way to communicate with your subscribers was through snail-mail, it cost a bundle to send out your message. At least $1 per person was the rule of thumb back then and now it would be far higher. Sending out to even a relatively small list of 1,000 could be a serious investment and so you had to sell very hard to get a return. Now, with Email Newsletters, things are very different. You can send out to 10,000 people in a few clicks and it will cost you almost nothing. Email marketing is close to being free. In fact, with certain email marketing services, it is absolutely free — I recommend MadMimi. That means that you need a far lower response rate, compared to snail-mail, to make a profit! It is not unusual to make thousands of dollars from a single mailing that takes you just a few minutes to write. With your permission-based list there is nothing to stop you sending out to your list again and again. People may willingly give you permission to email them, but you need to be able to catch their attention with quality content. And having caught their attention, you need to have established a trust between you so that your readers will happily follow your recommendations to buy the things you promote. The old days of mail order selling to a list entailed sending out long, professionally written sales letters. Long sales letters definitely do not work in an email newsletter. Email newsletters, or e-zines, are not about hard selling, they are about entertaining, educating and pre-selling. Pre-selling is the art of warming an audience up – making them desire the product you are recommending – so that they will take your advice and follow the link you provide to the product’s sales page. That’s where the selling takes place, not in your email newsletter. The link you use to send them to the sales page will be coded with your affiliate link and so when they do buy the product, you will get a commission credited to you. In Internet marketing, that commission is usually between 50% to 100%. But as I said, your ability to get your readers to click on a link depends on the rapport you have built with them and the level of trust they have in you. People buy from people they know, like and trust. Learn how to write an email newsletter the right way and online profits will come your way as fast as you can click on the send button in your auto-responder! 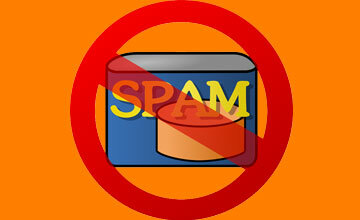 Canada’s Anti-Spam Law (CASL) is set to take effect on July 1, 2014. After years of preparation and consultation, Canada will get a modern, but very strict, anti-spam law. One of the requirements for CASL will impose on any entity doing business in Canada is the proof of consent. Up until now, many Canadian businesses relied on so-called negative consent, or giving subscribers an option to opt-out from future mailings. The new law will force businesses to obtain permission first, and also continue to provide an easy-to-use mechanism for subscribers to remove themselves from a list. The easiest way to handle consent (or “opt-in”), unsubscribes and other list-management tasks is to open an account with an Email Service Provider or ESP, such as Aweber, MadMimi or GetResponse. These services all provide basic and advanced list-management features, but they differ greatly in additional features, such as auto-responders, RSS-to-email, etc. Most ESPs also offer Social Media integration, and some offer features that may not necessarily be considered as email-related, such as surveys, GetResponse offers surveys included in the basic package, other ESPs rely on 3rd party integration, such as SurveyMonkey. In case you’re interested in sending simple email newsletters, MadMimi offers a free option, and you can have up to 2,500 subscribers in your lists. If you need to send more than 6 emails per month, you can upgrade to any of their paid packages. Even with the added hassle of making sure you’re CASL-compliant, email marketing should still be one of the staples of your overall marketing strategy. In case you need help in setting up your email marketing system please contact me. Email marketing is still one of the best ways to grow your business. In fact, according to the Direct Marketing Association latest statistics, email marketing still has the highest rate of return on investment (ROI) among all other marketing channels. The trouble is, most solo professionals and small business owners don’t bother to learn how to do email marketing properly. The best solution is to use an online email marketing tool, such as Aweber. This is a service that helps you create an attractive email newsletter or flyer, manage your list, and what’s very important, your email marketing campaign will be following the law. If you’re in Canada, for example, very soon a bill will become law that will require senders to allow their subscriber to remove themselves from a list by clicking a link. Using email marketing software, such as Aweber, will make your life easier. A recent Marketing Sherpa article about average open rates published this interesting chart. The research was compiled based on data from nearly 1,500 marketers. The chart compares the performance of B2B email newsletters to the performance of B2C e-newsletters in open rate, clickthrough rate and conversion rate. The clickthrough rate (or CTR) is usually defined as the ratio between the number of clicks to the number of emails opened. For example, if an email was opened by 100 subscribers to an ezine, and 30 of those subscribers clicked on a link, then the CTR would be 30%. 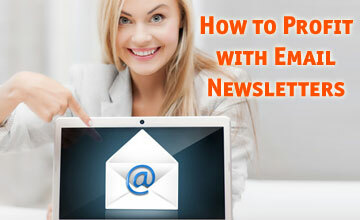 Clickthrough and conversion rates are important indicators of email newsletter performance. As newsletter publishers we should track these statistics, making sure we always apply the same metrics. The research shows that B2C newsletters perform slightly better than B2B. How do your own results compare to these averages? Please comment and share your insights.